The Robin Proline SV SIP has a 5 megapixel camera which provides H264/RTSP video output in HD (720p) resolution. The camera lens is a wide-angle lens with a 130 degree viewing angle for a maximum view of the surrounding area. The camera is protected by a dome made from hardened optical glass with photochromatic properties and is vandal-proof. 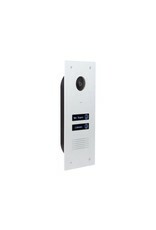 Thanks to the universal Session Initiation Protocol (SIP), the intercoms are ideally suited for connecting to telecommunication systems of other brands, such as monitoring systems and switchboards based on VoIP. Click on the Compatibility button above for information about the supported telephone systems. The Robin SIP intercoms have their own SIP protocol stack and no internal ATA. The housing is made from anodised aluminium with a lightly brushed finish on the front. 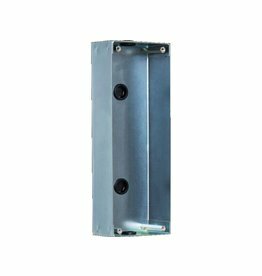 The unit is supplied as a recessed model as standard, but can optionally be supplied with a surface-mounted housing (type C03001). 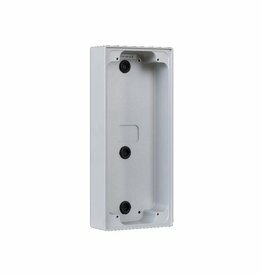 For installation in concrete or masonry walls, the Robin Flushmount box with setting option (type C01112) can be used. The piezo pushbuttons and keypad have background lighting behind the label. The intensity of the background lighting can be set via the web interface (except for the 1 pushbutton variant). Each pushbutton can be given a unique (name) engraving, which can be specified when ordering the intercom unit. Engraved labels can also be ordered later if necessary. The Robin SIP video systems are powered via “power-over-ethernet” (PoE, IEEE 082.3af). This does away with the need for a separate power supply. Just one IP connection to the internal network is enough. Configuration, such as setting the telephone numbers, is performed via a practical web interface. Three telephone numbers or group numbers can be programmed for each pushbutton, which are called in sequence if the preceding telephone number is engaged or not answered. 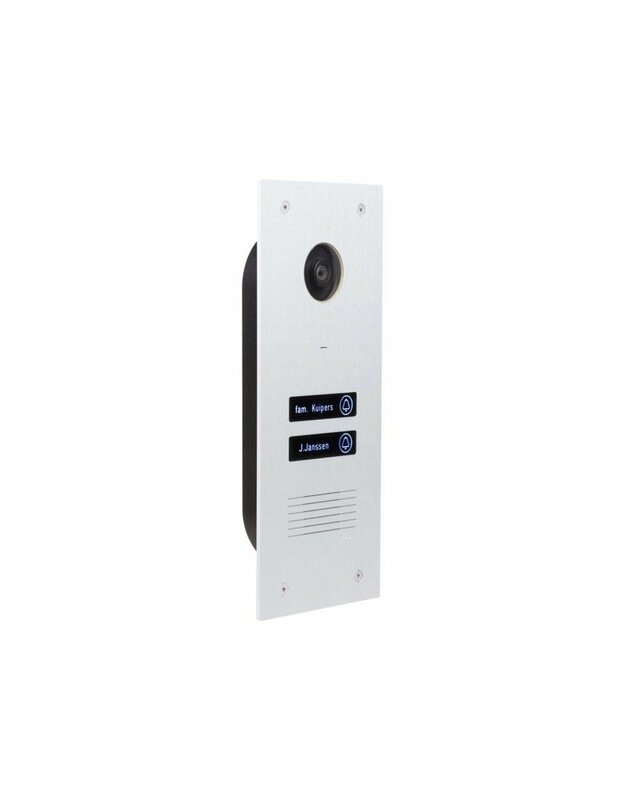 An integrated door contact lets you grant access to visitors remotely, simply and safely. The door is opened by means of a settable pushbutton combination. If necessary, more complex or multiple circuits can be implemented with a separately available IP Quad web relay unit (type C01037), which has four relays and can be placed anywhere in the network. From software version 3.5.0 onwards, the Robin SV SIP intercoms support the Picture To Email function. This function emails a photo of the visitor to any configured email address.